When you need a knowledgeable personal injury lawyer on your side, schedule a free consultation at the Champaign office of Goldberg Weisman Cairo. Our Illinois law firm has extensive experience guiding injured clients through the legal process of monetary recovery. Our personal injury lawyers can handle cases involving complex, life-altering injuries and serious conditions. If you are struggling through multiple fractures, traumatic brain injuries, spinal cord injuries or paralysis, we will fight to ensure you recover the maximum monetary compensation possible. Trust us to fight for you through each stage of the legal process from negotiation to courtroom litigation. Whether your case involved a car accident, construction site accident or workplace injury, we encourage you to contact us for a free case evaluation. Serious injuries can devastate the finances of an entire family. With the rising costs of health care and the potential of losing your job, financial peril is right around the corner. Let us negotiate with the at-fault party's insurance carrier for monetary compensation for your lost wages, medical bills, property damage and emotional trauma. If we cannot negotiate a beneficial settlement, we are confident in our ability to represent you through trial litigation. Trust us to fight for your fair treatment at every turn. 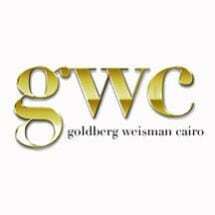 To learn more about how the law firm of Goldberg Weisman Cairo can help, call or email any of our convenient office locations. We offer free consultations and services in English, Spanish and Polish.